An experienced documentarian, Jay has created compelling multimedia and ethnographic video pieces for almost two decades. 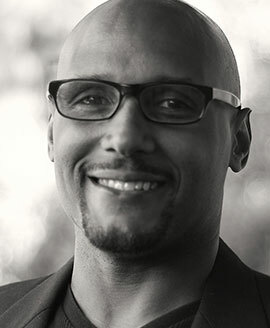 Jay began his career as a market research videographer while earning his MFA at UCLA’s prestigious School of Film and Television Director’s Program. Throughout his career as an ethnographic filmmaker, he has lent his skills to the reality television world on projects for networks such as MTV, HGTV, Syfy, ABC Family, Travel, Lifetime, TeenNick, E! and Viceland. Jay has also worked on the front lines of new media, creating engaging docu-reality branded content for a range of corporate brands, studios, networks, record labels, and professional sports leagues. While establishing himself as a pioneer in the digital series content format, he has also continued to sharpen his skills in the field of complex market research filmmaking and has been a valued member of the Galileo team since 2007, working for clients such as Harry Winston, Lexus and Rolex. His interest in the field of behavioral science compliments his well-honed expertise in the art of cinema and documentary storytelling.